An Icon parking garage is located on 64th between Broadway and Central Park West. Thank you for choosing Boulud Sud! 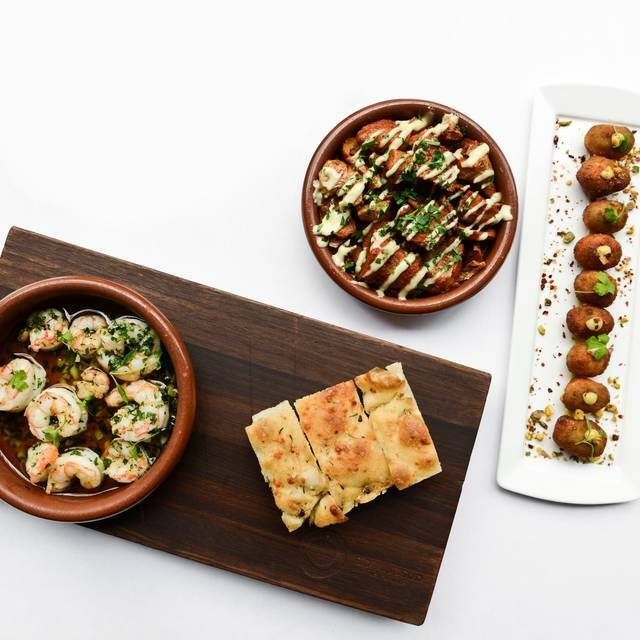 Chef Daniel Boulud’s vibrant Mediterranean menu offers flavors from France, Spain, Italy, Greece, North Africa and Turkey. There is an emphasis on grilled fish and meats as well as an abundance of fresh vegetables. 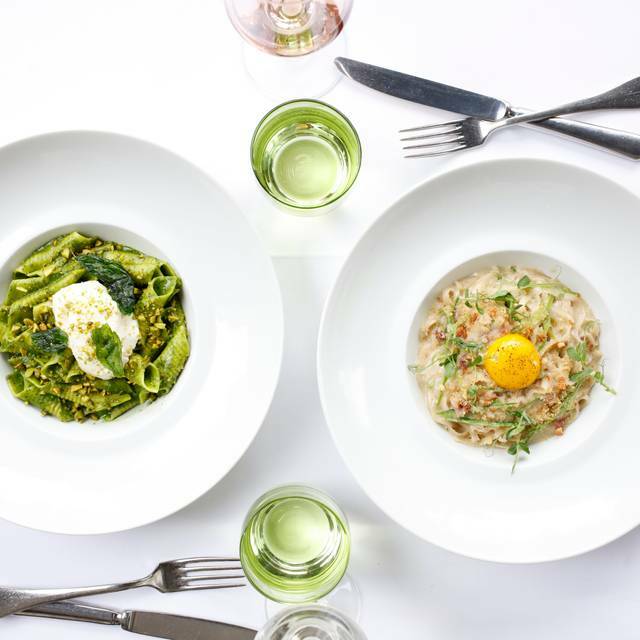 With an entrance on West 64th Street, Boulud Sud is just steps from Manhattan’s Lincoln Center and is adjacent to Bar Boulud and Épicerie Boulud. Please join us to Celebrate Mother's Day. We will exclusively serve a three course Prix-Fixe menu for brunch and dinner, priced at $75 per person. Doors will open at 11am and we will serve until 9pm. 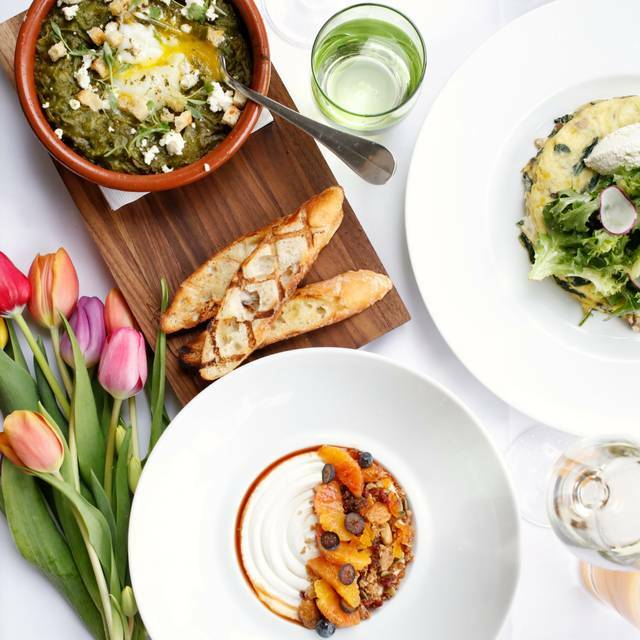 Celebrate Easter Brunch at Boulud Sud! We will exclusively serve a $48 three course prix-fixe menu from 11am to 3pm. We will open for dinner service at 5pm with our regular A La Carte menu. As always, it’s a pleasure dining at Boulud Sud. The service and hospitality are wonderful as well as the food. We will defy be back again. Fantastic food and wonderfully attentive staff. You'll love it! Fantástic Upper East Side restaurant with very good brunch. Went for Sunday brunch with friends. Beautiful room. Our meals were good but nothing extraordinary. Service was slow & inattentive, much to my surprise. I would give it another try but it was a bit disappointing. Everything about the experience was made enjoyable by the precision and care taken by all parties. The food was excellent, the service attentive without being annoying, and the timing was perfect; we were able to get to our concert in time. I love this restaurant. The most accommodating service you will find anywhere in NYC. 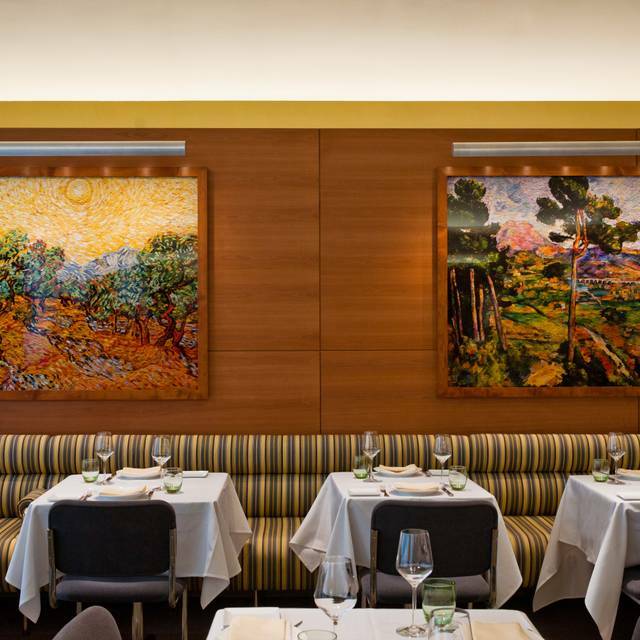 Boulud is perfect for pre-Lincoln Center dining. Their $65 pre-fixe is a good value, offers a good selection and is excellent as is the service which enables you to get to your performances with time to spare. A favorite! I love almost everything on the menu except for the chicken tagine, which is simply too mild. It was ok! A little price. Food and ambiance are good. The plates are very small. Noise was probably quiet because it was a late weekday lunch and the restaurant wasn't that busy. The Lamb Burger was very good but the waiter should have brought some ketchup and mustard. There were a number of other items that I would have ordered so I'll put it on my list for a return visit. I did not eat - I only drank tea. My husband and aunt shared a fish dish that they both said was delicious. The wait people were extremely attentive. The restaurant was not crowded - it was lunch and so it was quiet and we could hear each other talk. I have been to this restaurant twice now - I would go back again. I wish I had asked the name of our charming French waiter. He was superlative, from helping to choose wines to discussing the menu in depth. the Fluke crude and octopus were both outstanding. We cane here to celebrate my dad’s 90th birthday & had a very enjoyable evening. One person in our party has dietary restrictions & the staff could not have been nicer. They were all very patient & extremely accommodating. The food was delicious with generous portions. A great place to go for a special occasion. Fantastic meal, great service, modern and elegant ambiance. Came here for a birthday and was surprised with a dessert and birthday message written in chocolate on the plate. Highly recommend. Boulud Sud is our usual "go to" for pre Met Opera dinner. Can't beat the 3 course price fix - wonderful variety and portions are perfect size. What was wonderful despite it being a Saturday evening - promptly seated at 6pm for a 6:15 reservation and never felt rushed - courses spaced perfectly and we were so comfortable that if I had not looked at my watch at 7:30 - we could have sat all evening - that's how comfortable the restaurant is! Very attentive servers but not too overly so they were not disruptive. Three of us recently dined at Boulud Sud for the first time. Everything was outstanding! Our meals were beautifully prepared, delicious beyond expectations and served with aplomb. The very knowledgeable Sommelier's wine recommendations were perfectly paired with our food. We will return again very soon and tell friends. 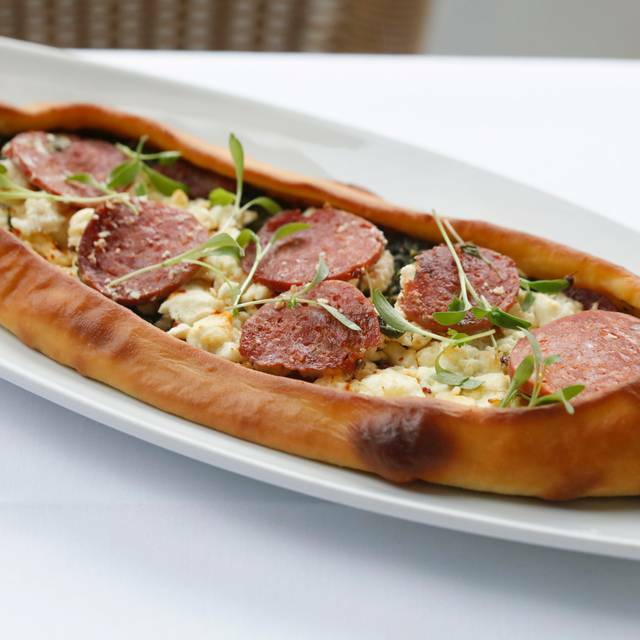 Boulud Sud is definitely a winner! the food was exceptional, the service was gracious, and the atmosphere was perfect for a pre-Met Saturday in New York. Lovely place, great wine selection, fabulous food. Boulud Sud has an menu, the food is excellent and the service is outstanding, unhurried but very efficient. 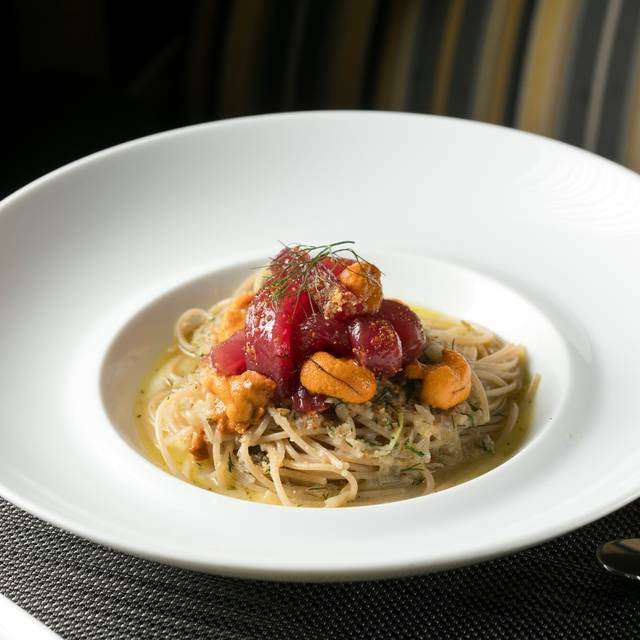 The pre-theater prix fixe menu is good value and the wine list is exceptionally deep and reasonably-priced. We have eaten here many times over the years and have always left saying "what a wonderful meal we just had." 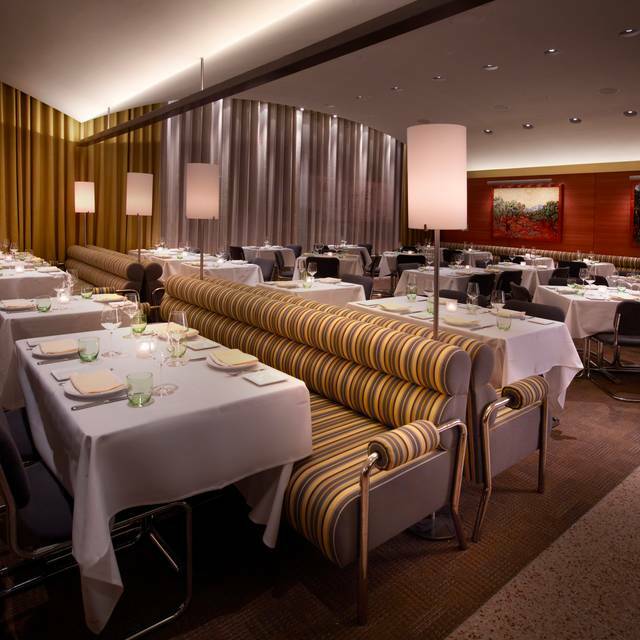 The orchestration of flavors is masterful, the service is both professional and charming, and the room is beautiful. Service, food and ambience- great! Just need to reduce the noise level-if possible. Excellent food and good service -- if anything, the waiter was almost over-attentive. The restaurant helped meet our needs and get us finished so that we could get to the theater on time. Somewhat expensive but reasonably good value for the price. The portion was exteremely small. We left hungry. The food, Ambiance and service are exceptional. I dine there regularly and always enjoy the experience. In particular, the Chicory salad and Chicken Tangine were delicious. 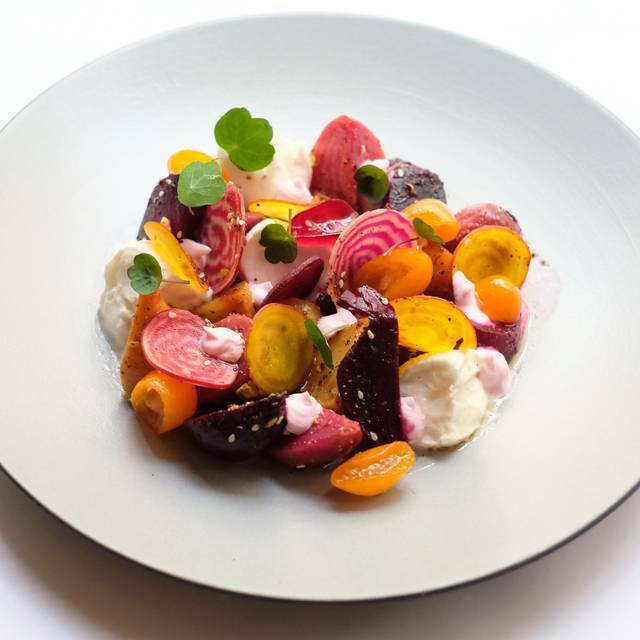 Truly remarkable Mediterranean offshoot of the Daniel Boulud family of restaurants. Impeccable attention to service and detail with some of the best seafood dishes I have ever tasted (how you manage such a crispy skin with succulent flesh is amazing to me). Pre fixe theatre menu was epic. Looking forward to returning to try some of the other dishes. Food is great but tiny tiny dinner potions. Service wasn’t great. But delicious grapefruit dessert. Best restaurant on the Upper West Side. Excellent combination of very good and inventive food together with excellent service. Pricey but worth it . Love this place. Food and service is amazing. We brought some friends from Sweden to dinner because we wanted to give them delicious and slightly unusual food and the choice of the great wine list and we were thrilled. Two wonderful bottles of burgundy (different years for comparison) delicious fish, duck and chicken tagine were all enjoyed greatly and the staff were incredibly helpful when we were informed that one of the party was allergic to nuts! We went to Balud Sud for a special birthday celebration and the food and service could not have been better.